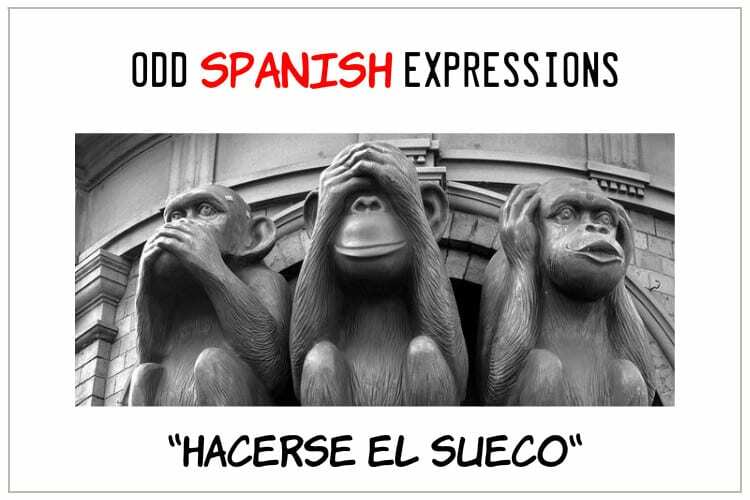 Did you know that, literally translated “hacerse el sueco“ means ‘to play Swedish’? Though the real meaning is to play dumb or to pretend not to hear/not to notice. One explanation of this expression is in the origin of the word “sueco” which stems from the Latin word “soccus” (log). So, if you “play the log“ (soccus = sueco), you’re pretending not to understand/not to hear something – just like how we ‘play dumb’ so we dont have to responsible for something. I love this post: learning everyday-life usefull stuff 😉 y reir! I lived in La Plata, Argentina for two years and speak better Spanish than most natives, however, never heard of such a thing. Could be a regionalism? Thanks for sharing. There is most certainly a difference in Spanish colloquialisms depending on where the language is being spoken! Why, even in Spain the phrases change as you change regions! There is no doubt that Spain Spanish and Latin American Spanish have several different terms and phrases! I don’t know if this is because most Cubans defend from Spaniard, but this is a very very common saying in Cuba. We even made a movie about it called “Hacerse el sueco” haha.